V.Navaratnam ‘In the Fall and the rise of Tamil Eelam’ ended his prolouge that fully summarises the book: It is hoped that the High Command and the Leaders of the War as well as the brave freedom fighters under them, will not waver, and they will make it perfectly clear to anybody who many intervene to suggest compromise that the sovereignty and independence of Tamil Ceylon is not negotiable and would brook no compromise. This quote perfectly captures the thinking of the great Tamil Leader Hon. 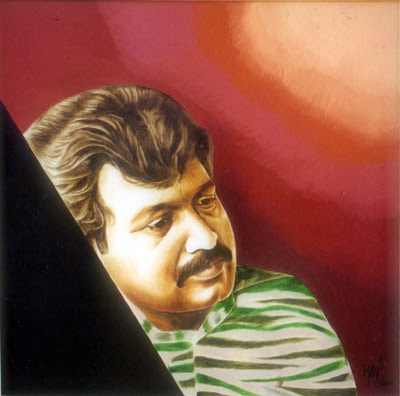 Velupillai Prabhakaran. Upon seeing the abuse, discrimination and killing of Tamils – the young Prabhakaran along with his friends decided there needed to be change. They held peaceful demonstrations to voice their concern but was faced with more cruelty and violence. It was at this moment that a generation of youth came to the realisation that the political arena would not allow the Tamil nation to fulfil their aspirations. They believed that an armed struggle was the only solution to this injustice. This birthed the work of our Leader who went on to create Liberation Tigers of Tamil Eelam. An organisation that was perfectly structured to run as a government organisation among the Tamil populated areas. It worked to fight for the freedom of Tamil through both the armed and political struggle. Prabhakaran came to be known as one of the great military strategist and foremost freedom fighters of the current era. What can the Tamil students of today and leaders of tomorrow learn from Hon V. Prabhakaran? Our Thalaivar had one goal and he paved a way to make what seemed like a far away dream look real and achieveable. This goal and this dream was Tamil Eelam. He inspired and brought together Tamils from all over the world to join hands to work towards a Free Tamil Eelam. These words may make the work he has done look easy and simple but the achievement of our Thalaivar cannot be repeated and can never be fully explained. Despite facing constant struggle and turbulence, he pushed forward with the thought of Tamil Eelam. He learned from his success and studied his mistakes. His words and his wisdom still resonates in every Tamil who is fighting for the freedom of Tamil Eelam. Anyone who has the dream of Tamil Eelam and wants to make a pathway to create Tamil Eelam are merely following the steps that Thalaivar built. It is necessary here to say that he became the Leader that V. Navaratnam described and the leader that every Tamil yearned for.